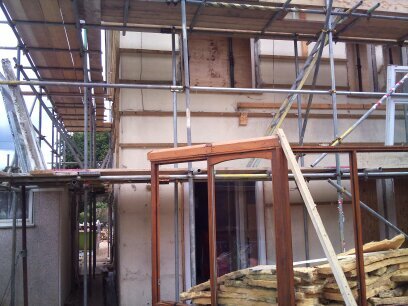 Detached non traditional construction Woolaway bungalows are very common and a lot of repairs are carried out to them. This normally consists of the non traditional concrete PRC panels and posts in the exterior walls being replaced with a traditional brick and block cavity wall. A PRC Homes licensed repair scheme is usually the accepted way to repair a Woolaway construction house as this will then make it suitable security for high street mortgage lenders to offer mortgages at normal interest rates. 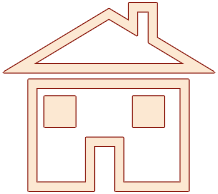 There are also Woolaway construction detached houses in parts of the country and these too can be repaired, making them acceptable to major high street mortgage lenders. PRC repair carried out on this Woolaway construction detached house. A PRC Homes Ltd PRC Certificate was issued.